Laundry. Doesn’t that word give you the chills? In some cases, it can really pile up. Take the Little League® World Series for example. How many moms do you think it will take to clean the hundreds of uniforms on-site this year at the annual games in Williamsport, Pennsylvania? The answer: None. As the Official Laundry Products of Little League® Baseball and Softball, all® and Snuggle®are on-deck for the 2013 Little League World Series, taking place from August 19th thru the 21st!. Each year, hundreds of hopefuls face-off in for the opportunity to play the game of their life, and this year, ‘all and Snuggle are excited to be part of the action, providing daily, on-site laundry to Little League® World Series players, coaches and referees, and keeping moms from all around the world happy and smiling. In addition ‘all and Snuggle will host the Fan Fun Zone, a space where families and Little League players can participate in activities, and enjoy time together in between games on-site. Each participant pitches as many socks as possible into the ‘all and Snuggle washer machine and for each sock that makes it in one minute, the brands will donate $5 to the Challenger Division®. This organization is a division of the Little League® and enables boys and girls with physical and mental challenges to enjoy the game of baseball. More than 30,000 children participate in over 900 Challenger Divisions worldwide. 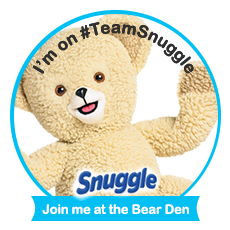 Starting in spring 2013, the all and Snuggle Little League sponsorship will include exciting nationwide programs to engage retailers and consumers in fun, Little League style promotional activities. As a recognized leader and reliable laundry partner with consumers for more than 50 years, the all® brand provides an incredible clean at an incredible value for all your family’s needs. The all brand has your detergent needs covered with compact powder, concentrated liquids, and single dose pacs in a choice of sizes and variants, including all free clear, the number one detergent recommended by allergists and dermatologists for sensitive skin. With all mighty pacs™ for simplicity and added convenience, and all OXI-Active® providing extra strength to tackle the worst dirt and stains the first time - it’s all good!™ all laundry detergent is manufactured by The Sun Products Corporation. For more information, visit www.all-laundry.com or www.facebook.com/allLaundry. All leaves your clothes feeling and smelling clean! I have 3 teenagers in my house and All really helps clean up after them. They are always sweaty and stink! I can wash their clothes in All and they are good to go. All gets those nasty sweat stains out and the clothes look like new! I give all 5 stars for making my kiddos look and smell good! As a leader in the fabric softener category for more than 30 years, Snuggle provides ultimate snuggly softness and long-lasting fresh scents to loads of laundry. Recognized by its iconic Snuggle Bear, which was created by Jim Henson’s Creature Shop, the Snuggle brand offers a variety of high-quality fabric conditioning products, including liquid softeners and dryer sheets in a variety of fragrances. Snuggle is manufactured by The Sun Products Corporation and available at major retailers including most food, drug, mass, club and dollar stores. The Sun Products Corporation headquartered in Wilton, Connecticut, is a leading North American provider of laundry detergent, fabric softeners and other household care products. With annual sales of $2 billion, the Company’s portfolio of products are sold under well known brands that include all®, Wisk®, Snuggle®, Sun®, Surf®, and Sunlight®. In addition, Sun Products is the manufacturing partner for many retailer brand laundry and dish products in North America. For more information visit: www.sunproductscorp.com. disclosure~ I received a coupon for a Free bottle of All and a free bottle of snuggle in exchange for my post.